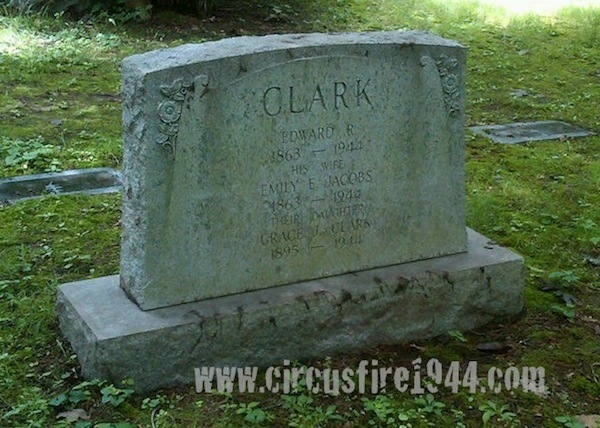 Miss Grace Jacobs Clark of 116 Webster Street, Hartford, was born October 4, 1895 in Hartford, daughter of Emily (Jacobs) and Edward Clark. Miss Clark was found critically injured at the circus grounds after the fire on July 6 and taken to Municipal Hospital where she died in the early morning hours of July 24 after nearly 18 days of supportive treatment, including amputation of her right leg. She was buried at Cedar Hill Cemetery in Hartford after services at the James T. Pratt Company Chapel. 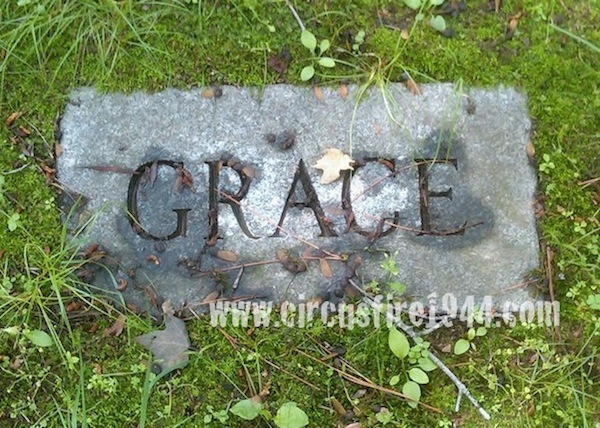 Grace's parents, Emily and Edward, were also victims of the circus fire having both died at the circus grounds. Miss Clark, the organist at the Danish Lutheran Church and a member of the Church of the Good Shepherd, leaves two brothers, Howard D. Clark of Hartford, and Whitney D. Clark of Boston. Her estate was awarded $8,000 by the arbitration board.